In a world where large corporate health care transitions, hollow sales tactics, And eroding customer service seem to take precedence, AmeriKare is committed to a different path. We are focused on providing quality patient care and prompt, courteous service, as well as dedicating ourselves to our employees and our future. AmeriKare’s mission is to administer patient care with knowledge, fostering an atmosphere of compassion, integrity, and professionalism, recognizing and satisfying the specific needs of each individual and improving the quality of life. 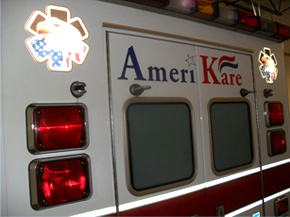 AmeriKare strives to be the best ambulance service by serving facilities and emergency service agencies with the highest quality of care first and foremost at all times with high regard for customer service and facility relations. AmeriKare Ambulance observes high standards of behavior and conduct, making sure we are honest, open and genuine at all times. 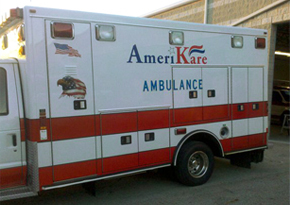 AmeriKare is unlike many private ambulance companies. 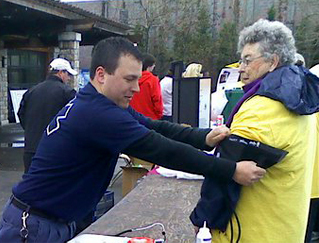 We see our responsibilities through the eyes of our patients and customers. We know that clinical care must be based on knowledge, training and expertise and that equipment, technologies and systems must be up to date at all times. We see our ambulance services as an extension of your quality care, and we deliver it 24 hours a day 7 days a week for hospitals, nursing homes, clinics, dialysis centers, and private patients across Ohio.